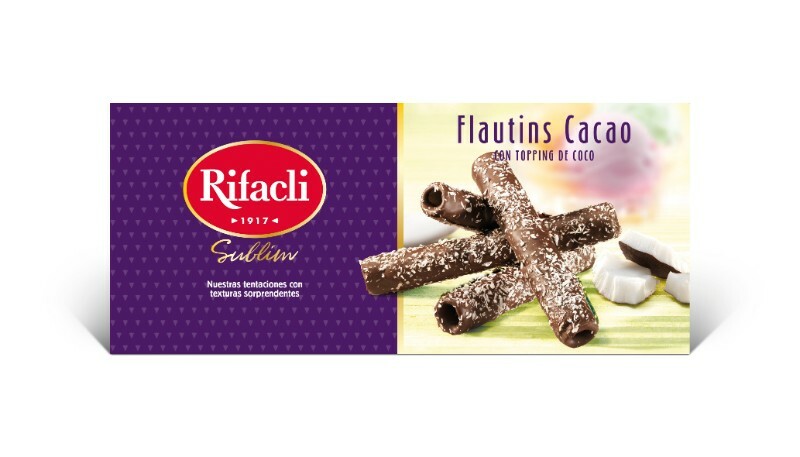 Cocoa Flautins with coconut are one of our latest products. 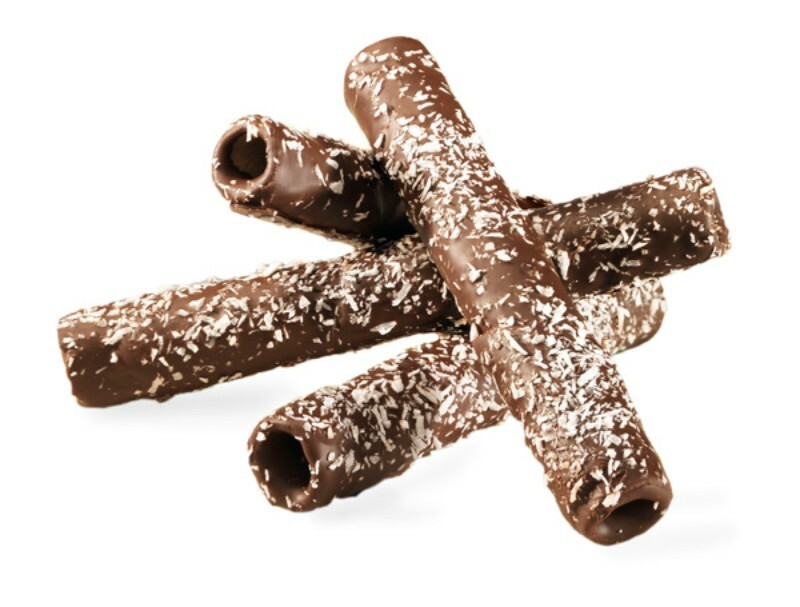 We have added a coconut topping to our cocoa coating short rolled wafers. Alone or accompanied by an exotic fruit sorbet.